This recipe was inspired by my sister Megen, who requested a tasty treat combining peanut butter and pretzels. This suggestion sounded pretty delicious to me, and I thought I would take her idea a bit further and incorporate chocolate, too. You truly cannot go wrong with that sweet and salty combination. The result is a chocolate-peanut butter-pretzel concoction packed with M&Ms, Reece’s Pieces, pretzel pieces, and peanut butter. Could you ask for anything more? I didn’t think so either. Ahhh my tower tipped over! In a large mixing bowl cream together butter, peanut butter and sugars until smooth and creamy. Beat in eggs and vanilla until fully combined and smooth. 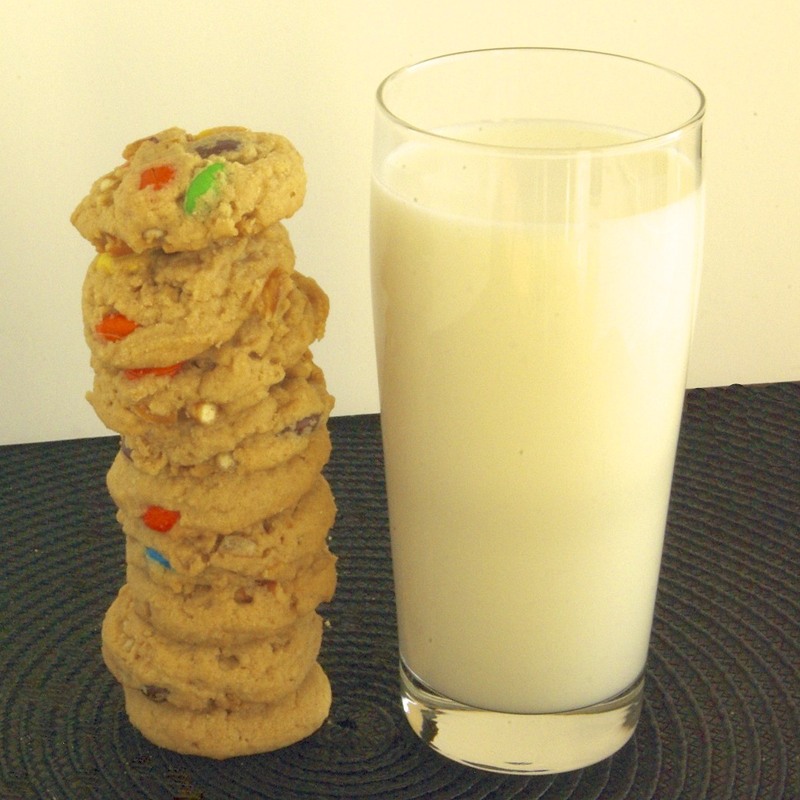 Incorporate flour into peanut butter mixture until JUST combined. Put pretzels in a large zip-top bag, and using a rolling pin, break them into small pieces. 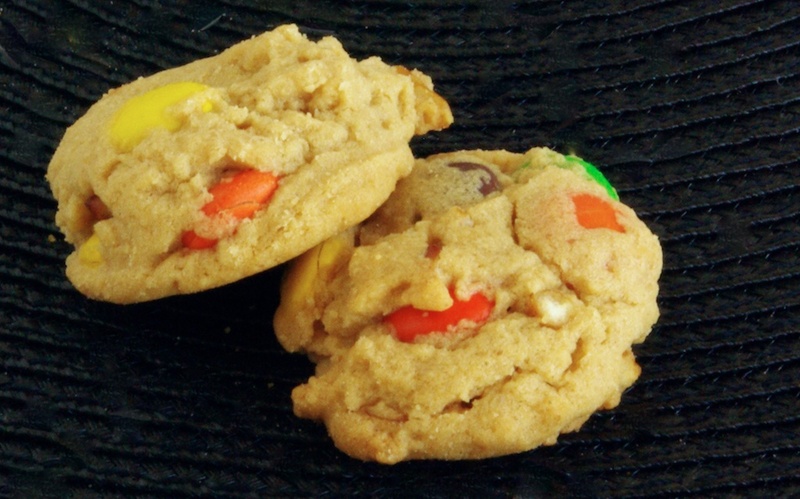 Fold broken pretzels, M&Ms, and Reece’s Pieces into cookie dough until evenly distributed. 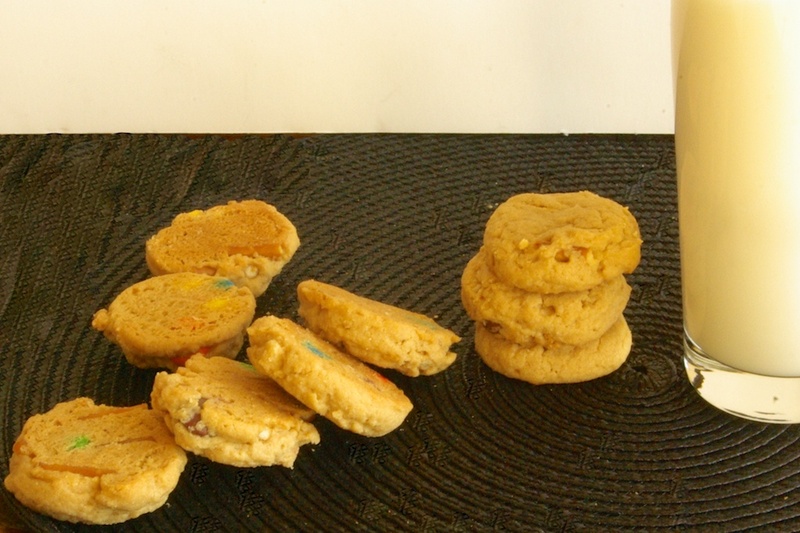 Scoop cookie dough by tablespoon onto a parchment lined baking sheet. Press dough down lightly. Bake for 10-11 minutes, remove from oven and allow cookies to firm up on cookie sheet for about 2-3 minutes.